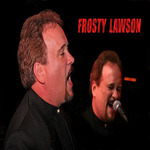 FROSTY IS PLAYING WITH NEVILLE L'GREEN (Bass & Vocals). A very cool place just off of the path train in Jersey City! !